The Tar Heel state is politically-conservative, with a large population of Bible Belt Americans traditionally opposed to legalized gambling. 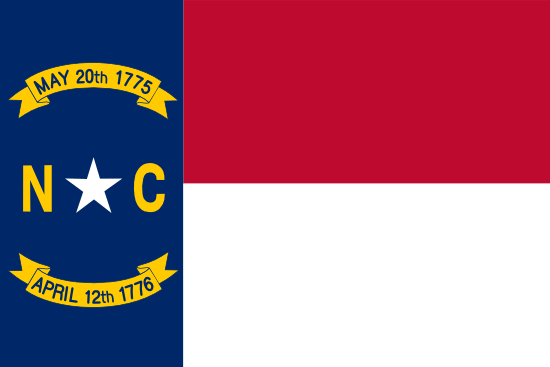 North Carolina gambling law is fairly strict, even by US standards. The only legal ways to wager in North Carolina are the North Carolina Education Lottery, a single tribal casino (Harrah’s Cherokee), exceptions for charity bingo and raffles, and an allowance for a certain form of low-stakes bingo known as “beach bingo”. You may have noticed already – that list does not include sports betting. No race tracks are operated within state lines, either, for horses or greyhounds. Without legal access to sports or race bets, North Carolina citizens tend to drive out-of-state. I’d also guess that, thanks to a total lack of sportsbooks in-state, plenty of illegal wagering through bookies takes place there, too. Let’s look at the state of North Carolina from the lens of a sports bettor. The sad story of pro sports in North Carolina is that all three of their major squads have been historically-bad. That makes it tough for sports bettors, since the underdog status usually afforded these squads by the book is totally deserved. The Panthers are one of the newest additions to the NFL, beginning play in 1995. That year, they set an NFL record for performance by an expansion team, racking up a 7-9 record. The Panthers went 12-4 in their second year, then spent a decade mired in sub-.500 mediocrity. In the twenty years since the Panthers premiered, they’ve appeared in just one Super Bowl, losing to the Patriots in 2003 by a rail-thin margin. The team is a perennial playoff bust, losing each of its last three playoff trips in the divisional round, even after ending the season at the top of the division. The Hornets are yet another example of a major league expanding into North Carolina as that state’s population has spiked over the past couple of decades. Added to the NBA (as the Charlotte Bobcats) in 1988, the Hornets spent some time in New Orleans as the New Orleans Hornets before eventually returning to Charlotte after the tragedy of Hurricane Katrina. The Hornets have historically been one of the worst teams in the league, without a league, conference, or divisional championship to their credit. Of the four people that represent the team in the Basketball Hall of Fame, two are coaches, and the other two wore the jersey for less than two full seasons. The Hornets are (big-time) underdogs, with no team coach posting a winning record since Paul Silas in 2003. The Hurricanes relocated to Raleigh in ‘97 from their old home of Hartford, Connecticut. Carolina has only had an NHL team since 1997, reflecting the massive interest in the state by major sports leagues in the 80s and 90s. Unlike the other two professional NC sports teams, the Hurricanes have a championship to their credit, having beat Edmonton four games to three in the ’05-’06 season. But here’s where the curse of North Carolina sports comes in – the Hurricanes have been awful since that championship season. They haven’t taken a single conference or divisional championship since that year. In fact they’ve finished no better than third place since the ’05-’06 season. Of those programs, seven are storied in at least one major NCAA sport, in most cases basketball. This part of the country is absolutely nuts for high school and college basketball – March Madness season is a fun time to keep your eye on North Carolina basketball, because it’s common for five or six NC-based schools to be listed on your bracket. The state’s two most-storied athletic programs are no doubt North Carolina and Duke, a two-headed monster that doesn’t just rival the Kentucky-Louisville rivalry in the state next door, it blows it out of the water. Between these two schools are ten NCAA basketball championships with countless NBA stars recruited from their ranks. If you include all the appearances and titles from all the basketball-crazy schools on the above list, it’s clear that North Carolina is the seat of basketball power in America. But that’s not the only area where North Carolina’s college teams are dominant – Appalachian State has made a lot of noise since joining D-1 a few years ago, having won an unprecedented three Subdivision football championships. North Carolina law states: “… any person or organization that operates any game of chance or any person who plays at or bets on any game of chance at which any money, property or other thing of value is bet, whether the same be in stake or not, shall be guilty of a Class 2 misdemeanor.” You’ll find that in Section 14-292 of the state penal code. Though the state code doesn’t make any mention of online betting at all, it seems like the language above would cover pretty much any online game of chance. Remember – I’m not a lawyer. If you’re concerned about placing an online wager while in the state of North Carolina, you should contact a legal professional familiar with the state’s gaming laws. Sports betting is unavailable (and probably illegal) in North Carolina. The state has a single tribal casino, but outside of that and a few charity betting options, bettors don’t have a ton of options for legal gambling besides leaving the state.